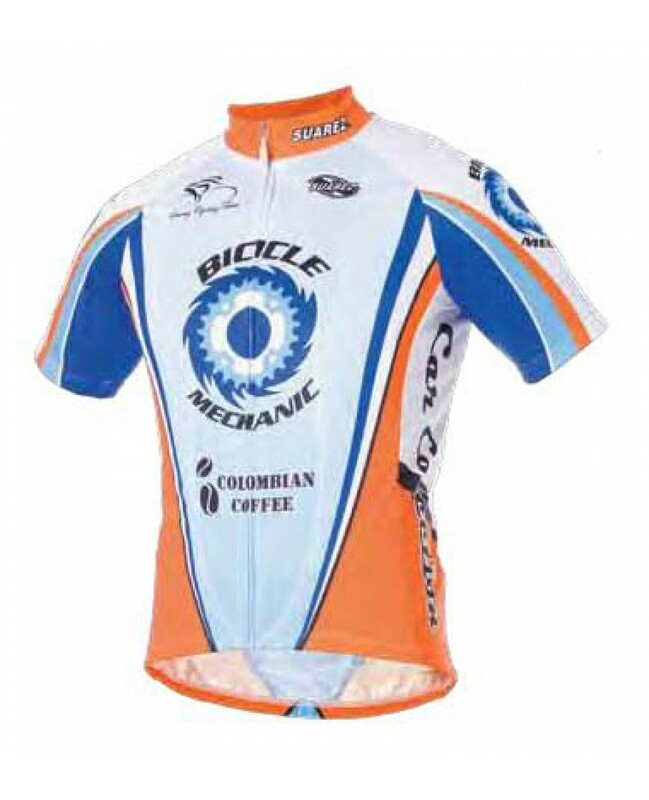 This Vertigo Team Cycling Jersey is made out of 100% Polyester Micro Air-Dry wicking fabric. Keeps you dry and cool. Elastic waist and cuffs. Three rear pockets for storing essential items. Full length front zipper.